The 2020 Supra may have been given a thorough going over by Toyota’s engineers but some feel it still has too much BMW DNA in its veins. To remedy this apparent problem, California-based tuning house CX Racing is offering owners a 2JZ-GTE engine swap. To those of you not familiar with Toyota engine codes, this is the motor fitted to the fourth-generation Supra, famous for its ability to take a massive amount of boost without exploding into a fiery ball of valves and pistons. It is, however, almost a 30-year-old design and BMW’s brand-new B58 3.0-liter inline-six is not exactly a limp-wristed performer either. Judging by the response from CX Racing’s Facebook followers, most feel that putting the old 2JZ motor in the fifth-gen Supra is a step backwards. It may have a ton of bolt-on mods available to extract massive power, but it's hard to imagine a scenario where someone is going to pay $50,000 for a new Supra and then be willing to dump the technologically advanced 335 horsepower BMW motor in the bin. There are a lot of similarities between the two engines, both are inline-sixes, share the same 3.0-liter capacity and use turbochargers (one in the case of the B58 and two for the 2JZ) to get the job done. The B58, however, does have direct fuel injection, variable valve lift, and a more advanced variable valve timing system. It too is capable of producing far more power- it makes 382 hp in the technically similar Z4 M40i- while still meeting strict emissions regulations. 1,000 hp may not be on the cards without some serious mods, but don't be fooled into thinking a 2JZ with standard internals can handle that kind of boost either. 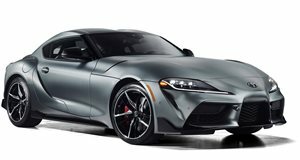 Perhaps the issue here is that replacing an iconic car like the fourth-gen Supra was never going to be an easy one especially when it shared so much of its core design with BMW. Then again, if Toyota thought it could have done it better, then surely it would have developed the car without external assistance. If they can build cars as impressive as the Lexus LFA, then maybe the reason is more down to economies of scale rather than a lack of technical know-how. Time will tell if it made the right choice.